All posts under Legal are for information purposes only. They are not and should not be construed as legal advice. Laws change and they differ by location. Consider these posts as ideas you could take to your attorney for discussion. For the most part, I like the woman. 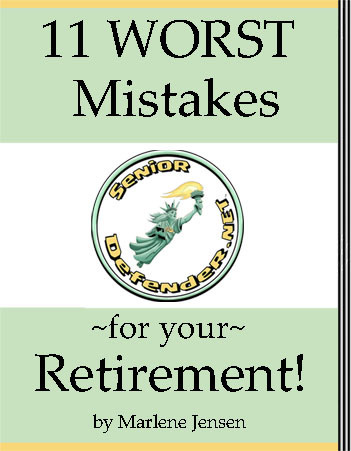 I’ve read a number of her books and I’ve read her finance columns in the AARP Bulletin — and learned from them. She seems to be a very smart, very knowledgeable, hard-working, success story. I know nothing scurrilous about her. However, every once in awhile, I find myself wanting to scream at her. Assisted Suicide — What are your rights? There is a lot written about nursing homes involuntarily discharging “difficult” residents. But nobody seems to be writing about the opposite problem! If you, like me, grew up watching movies where people were plotting to put away Aunt Sallie or Grampa Bob to get to her or his money; then as we get older and turn into Aunt Sallie or Grampa Bob, perhaps we harbor a certain paranoia.